 We are thrilled to share with you that Concord Youth Theatre, a home away from home for so many young people from the Concord area, is moving to a new and permanent home in the beautiful historic church building on Church Street in West Concord. Preparing for the move has us very excited and very busy. In this significantly larger space, we will be able to expand our offerings to allow more children to participate in life- changing educational theatre programs. We will be able to run concurrent programming, accommodate larger audiences, host other arts organizations’ events, and serve as a cultural hub in the heart of our community. So many of you have told us that CYT is the place where your children found their voices and their tribes. Now, more than ever, kids need places like CYT where they can explore their creative identities in a diverse, supportive, and accepting community of peers and adults. However, our current space has placed restrictions on production size and number of programs, making us unable to accommodate all interested children. Our new home will allow us to provide more children the opportunity to enjoy the experiences our current students, alumni and families treasure. We genuinely appreciate the commitment you have made to our CYT family over the years by sending your kids to classes and productions, attending shows, and donating to our fundraisers and annual appeals. Your ongoing investment has enabled us to grow our programs, grow out of our space, and enter this exciting new chapter. By purchasing this new home in the heart of West Concord, we are making a pledge to not only increase our programming, but also enlarge our role as a vibrant and dedicated member of this community for years to come. – Increasing budgets for operational expenses: heat, electricity, landscaping, etc. As alumni and families of CYT, we hope that you will give as generously as you can to this year’s Annual Appeal so that we can bring the new theater alive as soon as possible. Your generosity ensures that more families can become part of our wonderful CYT family. Thank you, as always, for your support! We can’t wait to welcome you to our new home! In addition to cash donations, CYT occasionally needs items or supplies that might easily be donated by a member of our CYT family. Support of this nature is considered a gift in-kind and is eligible for tax deductions under charitable giving as defined by the IRS. Please check this list regularly to see if you can help by donating an item or making a contribution to defray the cost of purchasing it. Thank you!